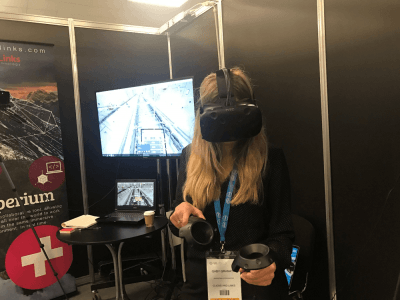 Last week I was fortunate enough to be part of VR World in London. I was extremely impressed with the brands and businesses that attended and the continuing advancements in the commercial VR sector. Businesses are harnessing the power of new technologies such as VR and AR to do everything from providing better care for patients, developing safer working environments for employees and creating mind-blowing art and entertainment experiences. 10) Commercial VR/AR/MR will permeate EVERY aspect of our lives within the next 10 years. This couldn’t have been more evident as the breadth of commercial VR companies at the event represented a wide array of industries. Retail, healthcare, automotive, architecture, city planning and many more were represented. There is a rapidly growing community of savvy developers looking at these new technologies and how they can help enterprises and businesses improve their offerings. Two major obstacles for commercial advancement in these technologies – high costs and poor content quality – no longer pose a challenge and businesses of all sizes are eager to benefit from these new technologies. Intel is working to provide professionals the compute power required to create robust commercial Virtual, Augmented and Merged reality experiences, learn more by visiting intel.com/workstations. 9) The 'killer app' that will push VR into the mainstream will center on education - both consumer education and professional training. Pearson demonstrates how they are using HoloLens to help train nurses in the US. The use of VR for training purposes is nothing new, as military training simulations have relied on it for decades. More recently, other sectors such as healthcare and education have realized the potential in using virtual reality and augmented reality to teach in new ways. Pearson is piloting a program in partnership with Microsoft’s HoloLens to help improve nursing programs in the US and universities around the world are incorporating AR and VR into their curriculum. 8) Social VR or AR platforms that are built to help users interact and communicate with each other in new ways will be the driving force behind mainstream adoption. It’s no secret that Facebook is investing heavily in social VR and the platform just launched ‘Facebook Spaces’ – a virtual space to spend time remotely with distant friends. Given Facebook’s global reach, their support of using VR technology to connect with friends could help bring such activities to the masses. There are also several other companies banking on the power of social VR, such as High Fidelity and AltspaceVR. 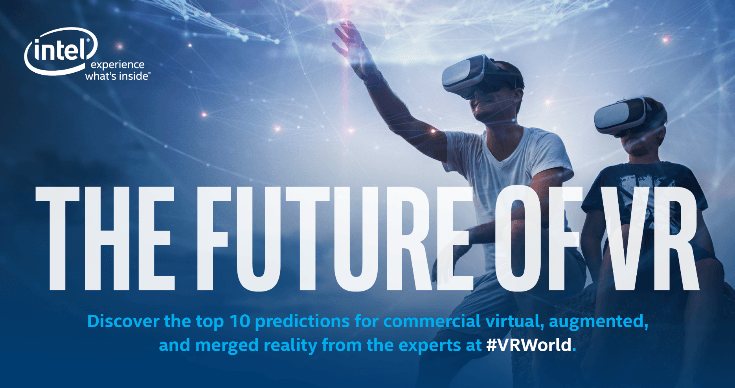 7) VR and AR for commercial purposes like shopping, workplace collaboration, navigation, transportation and healthcare will make the technology so commonplace that 3D entertainment will be forced to innovate. Currently VR technology is so new that businesses can rely on that factor alone to help create engaging and entertaining experiences. The potential for dramatically improving film and theater viewing experiences with the help of VR is just taking shape and will continue to develop over the next decade. However, as VR and AR become more commonplace commercially, directors and content developers will need to work harder to continue to immerse their audience. The novelty of these technologies will wear off and content will need to rely more on the substance and story instead of the method of delivery. Vicon, a company dedicated to 3D motion capture, is providing the technology to shape the future of 3D entertainment. 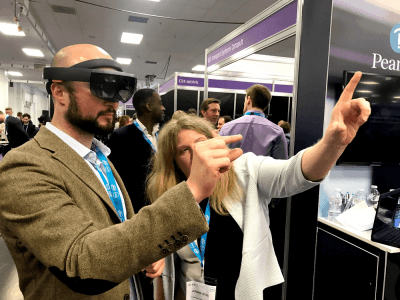 Their applications helped produce an updated, VR inspired version of The Tempest, giving the public a glimpse of the immersive entertainment experiences of the future. 6) Virtual or holographic home goods, apparel and footwear using AR and VR in-home, will become the primary means by which consumers purchase and customize their products. 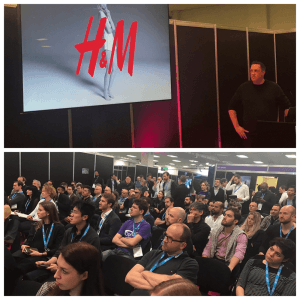 Peter Hagström from H&M IT Labs presents to a packed house at VR World. 5) Commuting to work will be a thing of the past, as your virtual workplace will be 'commuting' to you. With the help of VR and AR, it will no longer become necessary to be in a physical location to get work done. Advanced collaboration tools have already made it possible for engineers and designers to work remotely on 3D models and as the advancements continue, more and more companies will go ‘virtual’. 4) Virtual social networks will enable hyper-realistic and safe dating environments making face-to-face ‘blind dates’ a thing of the past. 3) The integration of drone technology, VR, AR and AI will allow for the creation and operation of fully autonomous factories in previously uninhabitable locations. Clicks and Links demos their VR model of a complex construction site. Companies are already using drone technology coupled with VR modeling to improve and streamline the construction of complex structures. Clicks and Links is working within the UK to help build a process to repair structural damage to sites difficult to access, such as underground tunnels. They utilize drone technology to take a 3D image of the space and then create a VR model that can be used to plan and practice repairs. It’s not that hard to imagine eventually building entire structures remotely that could house fully automated systems. 2) AI coupled with merged reality will produce housing cost efficiencies and improved city planning thereby ending homelessness. Advancements get REALLY exciting when you begin to blend the power of AR and VR with artificial intelligence. Programs that can actually learn to see patterns well beyond what humans can achieve are allowing for unbelievable advances in data analytics. Innovative companies are working to try and incorporate this ‘thinking’ into smarter cities, factories, transportation systems, city planning and many other case uses. One such company, Spantium, has developed a robust platform to create precise, 3D models of buildings and skyscrapers that haven’t even been built yet. Their team of developers use drone technology to recreate the exact views from each of the floors of the new buildings. The interactive platform can also be used to help design the building’s interior spaces and plan how to best optimize for efficient use of space. With the help of AI, these types of VR modeling tools could become infinitely more powerful, eventually mapping, analyzing and optimizing entire populations. 1) Predictive computer programs coupled with VR and AR will allow users to play out future interactions and scenarios, thereby 'predicting', visualizing and even optimizing their own future with some degree of accuracy. Not as crazy as it sounds, there could be a time in the not too distant future where we could explore several options or decision points and have a high degree of certainty of the precise outcome. This could impact everything from financial and investment decisions to professional considerations like job offers and even personal decisions like who to befriend or marry. A sort of ‘crystal ball’ that would be available to help us make more informed decisions and could even show us a visualization of each possible outcome. WOW! As exciting as these predictions are, there is also the need to exercise extreme responsibility and to carefully consider the consequences of these types of innovations. We’re still in the nascent stages of these immersive technologies and nobody can truly predict what lies ahead. I’m extremely hopeful however that the benefits will be experienced by all of us in the not too distant future. 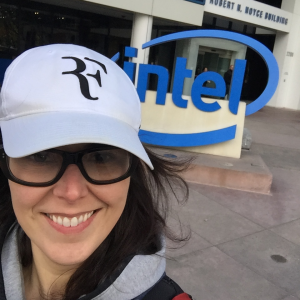 To learn more about how Intel is helping to pioneer these new technologies and provide professionals the tools to enable amazing VR experiences, visit intel.com/VR.